Our Tamarack Adventure & Retreat Center team shares a passion for the outdoors and an enthusiasm for working with youth and adult groups. While we extensively train each and every staff member, most come with prior experience in team building, outdoor skills and environmental education. Cathy Calvano joined Tamarack Camps in December 2013. Prior to joining Tamarack Adventure & Retreat Center, she served as CFO of the Fisher Group, LLC, where she managed its accounting and tax groups. Cathy, a graduate of the University of Michigan, is a certified public accountant in the State of Michigan. Her expertise in not-for-profit accounting and management, and financial and strategic planning capabilities makes her a vital member of the Tamarack team. We’re lucky to have her as our CFO, where we can tap into her endless knowledge, expertise and experience to benefit our facilities and guests. 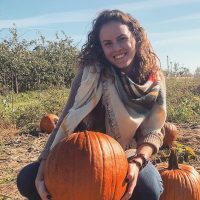 Megan joined Tamarack in April 2018 as an Outdoor Educator and since has taken on the role of our Client Coordinator. Megan has a passion for hiking, traveling, and brings experiences from various parts of the country. 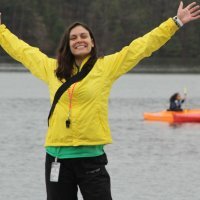 She has worked as a Park Ranger in Colorado, Adventure Specialist at summer camps in South Carolina, and led small hiking groups through the waterfalls of North and South Carolina. Megan graduated from Central Michigan University with a BAA in Outdoor and Environmental Recreation. Marisa has filled many roles at Tamarack, from an intern, to Educator to camp counselor. 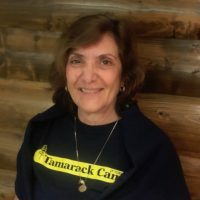 Tamarack Adventure & Retreat Center is thrilled to have her as their Program Coordinator, bringing a wealth of experience and education with her, though neither compare to her bright smile and exceptional attitude. Marisa graduated from The Ohio State University with a BS in Environment and Natural Resources. Mark Noble has always had an immense passion for the outdoors, and working at Tamarack during his college years only solidified his desire to be surrounded by nature. Mark loves to travel and has spent quite a bit of time exploring the US, UK, Israel and Mexico. But throughout all his journeys, he has come to believe one thing: in Michigan, at Tamarack Adventure & Retreat Center, the air is cleaner, the weather is more crisp, and there’s truly no place like it. 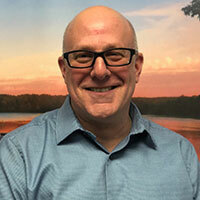 As the Community Liaison Director for Tamarack Adventure & Retreat Center, Mark spends his time talking to business and community leaders, taking them on tours, and offering their staff an opportunity to embrace the great outdoors, close to home. Matt first came to Tamarack from Australia for a summer job in 2005, and he fell in love with camp, returning for several summers and working for the year-round program, Tamarack Adventure. Matt serves as Program Manager. Tamarack is where he met his American wife, and the two of them spent the first five years of their marriage in Australia. 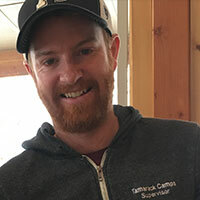 Since moving back to the States in the winter of 2018, Matt has joined the Leadership team for Tamarack Adventure & Retreat Center and works diligently to ensure a positive experience for all of our guests. Alexandra (Alex) Rosenberg was born and raised in Michigan and is honored to work the land of her home state. 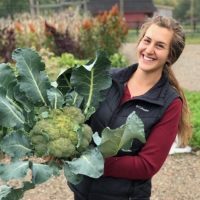 Food, farming and positive environmental participation are the front and center of Alex’s life and she is thrilled to bring these passions to Tamarack Camps as the Farber Farm Manager. She received her field management training from The Organic Farm School in Washington state and her Permaculture Design Certificates from the Sonoran Permaculture Guild of Tucson, Arizona and the Midwest Permaculture Guild of Stelle, Illinois. Jess Wolfe joined the team as the Farm Educator on Camp Maas’s Farber Farm in May 2018. She is honored to help build an inclusive, and environmentally conscious, community through the farm, while empowering and inspiring campers and visitors to explore the natural world and their earth-loving roots. 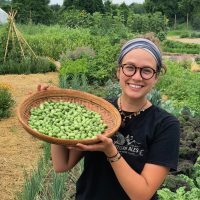 Jess graduated Michigan State University’s ‘Organic Horticulture Management’ program and received her Permaculture Design Certification through Eco-Israel.